Epoxy is material that is both hard and durable and is well suited for use in flooring. It can be used to seal and protect floors made of concrete. It can help to prolong the life of a floor and will look elegant and colorful in addition. Epoxy flooring acts to provide a protection to an existing concrete floor and can also produce a glossy surface that can have anti-slip surfaces. It is also quite often used, as added protection for terrazzo, mosaic, or marble flooring. Any floors having a covering of epoxy will have a long life, and this is especially helpful for floors that are subjected to a large amount of traffic, whether from footfalls or shifting and lifting equipment. The epoxy flooring makes the surface treated, waterproof and become dust repellent. This makes it much easier to clean and maintain in the best of a condition. Epoxy resins are the materials that are at the core of such floor coverings and can be made into primers, sealants or top-coats. They can also act as fire-retardants, and provide the treated surface with waterproofing qualities and allow the treated floor to resist damage. Depending on the floors, the coatings are tailored to meet specific requirements and can be used on any type of surface that forms a floor. You can even use them on steel floors that you will find in warehouses and other industrial applications. The cross-linking of epoxy resin molecules makes them almost impermeable and able to resist water, chemicals, and air. Epoxies can also be combined with other materials to improve appearance, give better adhesion, and fast curing times. They have very impressive adhesive properties, which can be as high as 1500 pounds per square inch. This allows the floors treated with them to remain intact, even if they are constantly subjected to heavy loads and traffic. Most epoxy floor coatings will contain pigments that will expand when heated, and form a thick barrier that protects the surface from fire, giving time to bring in other firefighting methods. Most epoxy floor coatings are water or solvent-borne. They may also have high solids content and these are various factors that can affect curing time. 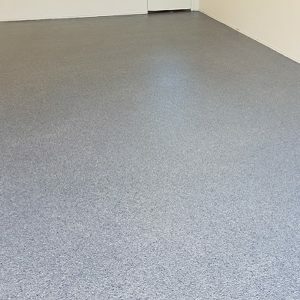 These floor coatings are made by mixing resins and hardeners so that there is a chemical reaction that gives a rigid and strong plastic material. They can be colored to provide the required aesthetics. When you take a look at the different types of roofing materials, what jumps out at you? 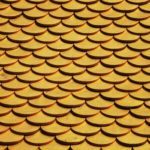 Here we take a look at what the team at Roof Restoration Sale in Victoria have learnt about roof materials. What hits me is how certain types of roofing last much longer and can add significant value to a home. Yet it really does depend on the situation, and you don’t want to make a hasty decision. There are good reasons why people choose to stick with architectural asphalt shingles. There are also reasons why people tend to go with a different type of roofing. First, think about where you live. Do you live in a neighborhood, or is your home off by itself? If your home is off by itself, then you’re not really trying to match the homes in the neighborhood. You don’t have to do that anyway, but it all depends on what the best decision is in terms of a roof protecting your home and adding value. Think about your ownership plans for the home, too, and your age. How long have you lived there, and how long do you plan to stay? That last question isn’t always easy to answer because people don’t know the future. Yet what you do know is what you intend to do. Let’s say that you have a ranch home, are 30 years old and intend to start a family and live there for the rest of your life. Architectural shingles are not a bad idea, at any time, as they are an affordable option. But what about a metal roof or a clay tile roof? With a metal roof, you can hear the rain pitter patter, and it’s so relaxing. Clay tiles look gorgeous, too, and they increase the value of a home. Both of these roofing types would be great, but there are other choices as well. 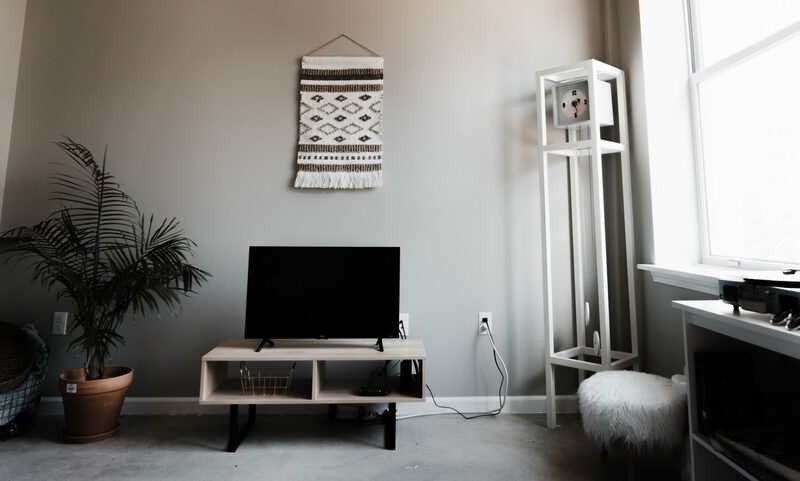 It also comes down to your budget and what other projects you have planned. There are many factors to consider when it comes to what type of roof you want to put on your home. What other priorities do you have in place at this point? Do you have enough money set aside to look at putting a different type of roof on your home? Architectural asphalt shingles are the most affordable and most common option. If you go that route, you can definitely look at different products and their manufacturers warranties. Make sure you choose a shingle type that comes with a solid warranty. And if you want to go a different route in terms of roofing materials, take a good close look at all of your choices. Stairs provide a means to move from one level to another safely and easily. There are many types of stairs, and as a matter of precaution, they must have side rails that can assist in the climbing activity. All stairs will have treads and risers that must be comfortable and safe to use. 12-inch treads and 6-inch to 8-inch risers are a standard that is accepted in most building codes. 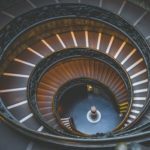 The most common type of stairs is one that has a single flight of stairs that connects the lower level and the upper level. These straight stairs are easy to build. They are useful where the number of risers is less than 16 or the height to be climbed is less than 12 feet. You can have a straight stir with a landing when heights exceed 12 feet. This will increase the area that is required by the stairs, and may not be suitable for small rooms. Quarter turn stairs or L shaped stairs will conveniently turn the direction of the stairs at a landing. They are visually more interesting and create a visual barrier that can add to privacy concerns. They can easily be located in the corner of a room. They are however difficult to built and landings may require proper supports. Handrails have to be more carefully designed and constructed. Winder stairs have triangular steps that allow the stairs to change the direction. They make staircases more compact, though they are not easy to use, as care has to be taken, due to the change in tread widths. Handrails on these stairs are also difficult to install. Another type of stairs that is commonly used in large buildings are U shaped stairs. They are easy to fit into most architectural plans and will have two landings or a large landing that allows the stairs to completely change direction. They are difficult to build and must have adequate support structures. Spiral staircases make for a type of stairs that are very compact and occupy the least space. They will have stair treads going around a central pole, while every riser takes you up a certain height. They can be architecturally attractive, though their handrailings are difficult to construct. The central pole is all the support that is required and all loads are transmitted directly downwards. They are not easy to navigate, and thus not allowed as a primary access for buildings. Other types of stairs are curved stairs and ladders. While curved staircases are architecturally very pleasing and commanding, ladders are the most difficult to climb. Information supplied by Stellar Stairs. If your roof has a minor problem, you may decide to check on the issue yourself instead of hiring a roofing service. It is important to ensure that you are safe so that you will not succumb to a roofing accident such as slipping or falling. This can cause major injuries. Here are some roof safety tips for homeowners. If you are using a faulty ladder then you are putting yourself at risk of falling and getting injured. It is best to place the ladder on a secure area on the ground. Make sure that it is not going to shift once you place your weight on it. The ladder should also have the right length so that you do not risk falling while straining to reach to the roof. If there are any missing screws on the ladder, replace them and tighten the loose ones as well. The roofing material could be harmful if you are not wearing proper clothes. You could cut yourself or even get shocked if there are exposed electrical wires. Make sure that you wear gloves on your hands and the right attire before you climb up to the roof. It is also advisable to have protective eyewear so that debris does not get into your eyes. Roofing materials that are placed carelessly can cause you to trip and fall. They could also injure you in other ways even if you do not fall. Make sure that you place the equipment you are working with a few meters from your feet so that you do not accidentally trip on it. You will also prevent the people passing below you from harm because you could push the equipment from the roof, where it can hit the people below. A harness is important because in case you slip and fall, it will prevent you from hitting the ground. Make sure that you tie the harness properly so that there is no chance that it will entangle you. A harness attached poorly will also not be able to prevent you from harm if you fall. You can check online for tips on how to wear your harness properly. 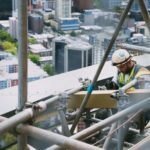 These roof safety tips will ensure you are not injured when working on the roof. It is advisable to call the professionals if the problem seems too hard for you to handle on your own.